The decade feature series is almost ready to go, but an introduction is in order. You all know me, and you all know one of my collaborators. Bruce Geryk has been a friend of FoS since and an occasional contributor when we did those board game duels. 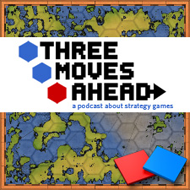 He’s also, of course, a regular panelist on Three Moves Ahead. The other writer is a name you may have encountered in the comments from time to time. Rob Zacny is a regular contributor at The Escapist and has written for UGO. He also has a strong wargaming background, but we all made choices for our decade that are pretty idiosyncratic. Since this series is “writer’s choice”, a lot of good to great games will not get entries. Expect a podcast about that at the end. Keep in mind that none of us will agree with every word the other one says, and that a post from Rob or Bruce is an opinion from Rob or Bruce. I, of course, am always the official voice of Flash of Steel. Now on to our first game – Rob takes on Shogun: Total War.